The dairy industry has faced a steady decline in consumption for almost two decades as consumers have turned away from these products in favour of alternatives made from soy, almonds, coconuts and other plants. Blake Waltrip, the company’s US CEO, told FoodDive.com this appeals to consumers and has played a role in increasing a2 Milk’s distribution and product offerings. The company more than doubled its retail count during the last year to more than 12,000 stores, with more growth forecast in 2019. ​”You’re going to start seeing people come back to dairy —​ we’re seeing it already,” he told Food Dive at Expo West earlier this month. Education has been an important part the company’s growth since a2 Milk, which entered the US in 2015, is still new to many consumers, he said. Waltrip said the company has heavily invested in education in the US through public relations, social media, in-store shopper marketing and a national TV advertising campaign. 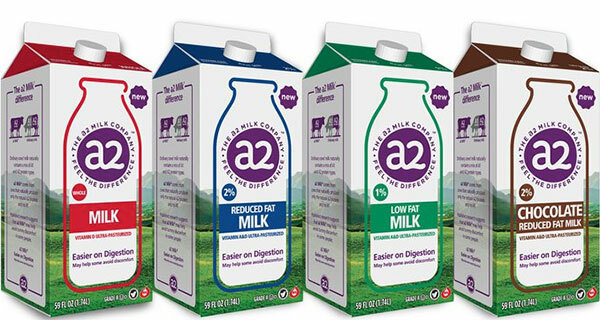 While it is still building its recognition among American consumers, a2 Milk has already established a sizeable presence in other parts of the globe. The company was originally founded by a New Zealand scientist in 2000. For years, a2 Milk increased its popularity in Australia and the brand now controls about 10% of the milk market in grocery stores there, according to its website. While traditional milk sales dropped 15% from 2012 to 2017, non-dairy milk sales in the US have increased 61% during the past five years to more than $2-billion annually. The drop in dairy consumption has hurt some big companies who have had to adjust, including Dean Foods, which said last month it is exploring strategic alternatives that could include a sale of the company, and Kraft Heinz, which is considering divesting its Breakstone’s brand. The plant-based beverage category is facing its own share of challenges as dairy makers want to ban the term “milk” from their labels. The US FDA is going through more than 13,000 public comments on regulating labels for plant-based dairy alternatives. Is lactose intolerance a bloated myth for many?